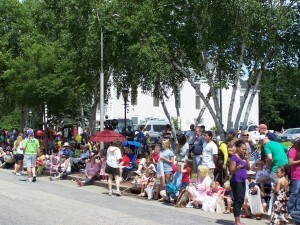 What does a town do when they can’t get a band to march in their parade? Resort to good old fashioned Yankee Ingenuity! Kathy Clark did that 26 years ago in coming up with an outrageously simple solution. 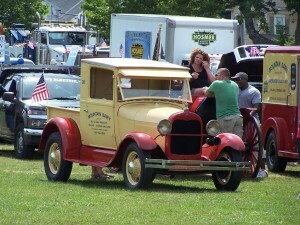 Everyone carry a boom box radio and the get the main St. radio station WILI www.wili.com to play parade march music. That is the way it has been ever since. 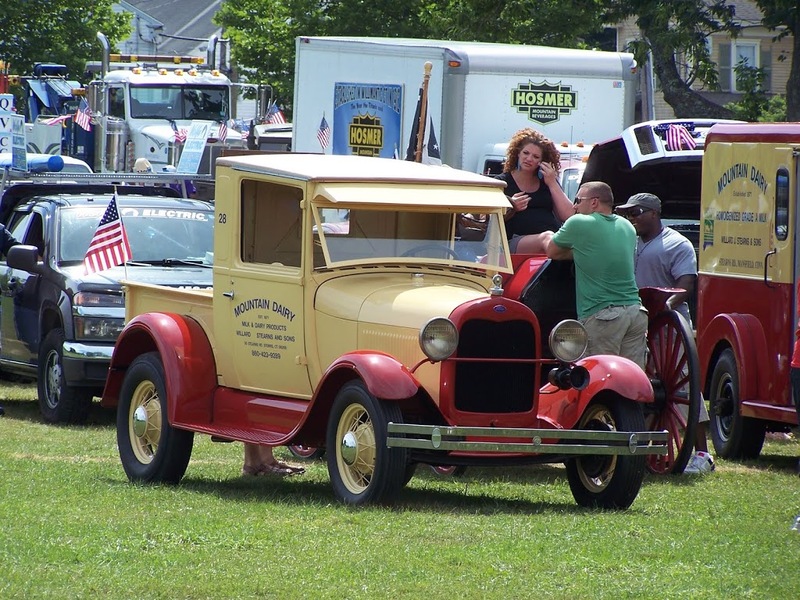 It is a very eclectic bring whatever, all are welcome parade ever since and it draws thousands of viewers to a Main St decked out in 4th of July finery and a willing host to the essential American experience. 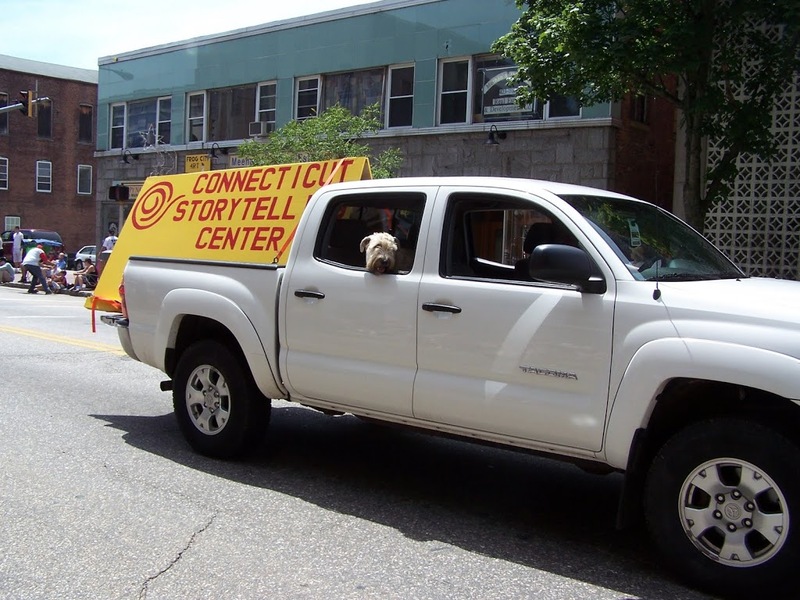 This year a new entry was the Connecticut Storytelling Center. 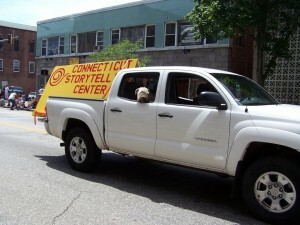 www.connstorycenter.org I have been planning increased visibility for storytelling in my hometown and vicinity. In adding a parade entry I knew 10,000 people would see the name and get a quick intro. I have been on the local radio a couple times, this is good follow up. This past winter both neighboring colleges, Uconn and Eastern CT. State University participated in Campus Slammer story slams. We are growing our own following person by person. The video introduces my next local piece. “VoiceMail” a open mic for storytelling held once a month will be hosted by this well known Main Street pub The Willimantic Brewing Company. You will see the camera pan the location in the old Post Office building. With several awards for their specialty brews and delicious food we are sure to have a good crowd for dinner and stories in the Postmasters office will follow. www.willibrew.com Soon I’ll be announcing the dates and getting all the social media publicity going and the local papers and of course radio. In the mean time we sure had fun with the Willimantic, CT. Boom Box Parade. P.S. the parade puppy is a Wheaten Terrier named Lily, everyone loves a parade!